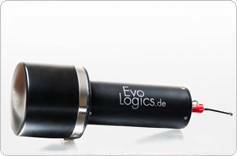 EvoLogics range of products offers highly reliable, flexible and cost-effective solutions for multiple underwater communication, positioning, navigation and monitoring applications. We strive for innovation and invest our vast experience into developing, manufacturing and supporting products that deliver an excellent performance and solve the most challenging tasks. The company was founded in 2000 in Berlin, Germany, by a group of leading international scientists and maritime engineering experts. The company since focuses on developing innovative solutions for maritime and offshore industries, as well as smart robotic systems design and bionic research. EvoLogics’ products offer highly reliable, flexible and cost-effective solutions for multiple underwater communication, positioning, navigation and monitoring applications. 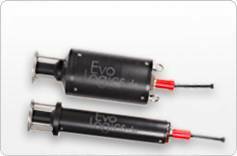 EvoLogics’ developments are based on the patented S2C (Sweep Spread Carrier) technology - the reliable acoustic telemetry that provides an independent bidirectional data link along with positioning, broadcasting and networking capabilities. 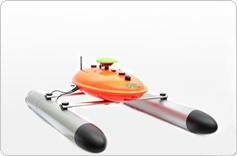 S2C devices can simultaneously facilitate telemetry and navigation of unmanned underwater vehicles. They enable retrieving information from various sensors and allow to control complex processes by seamlessly combining communication with highly accurate positioning. Moreover, EvoLogics caters to the needs of scientists, developers and commercial customers with a series of underwater acoustic devices and software tools that offer an open development and testing framework, providing endless opportunities for new implementations. • EvoLogics S2C Beacon - S2C beacon - a compact battery-powered device with built-in acoustic release mechanism and floatation collar. With EvoLogics’ patented S2C technology, the beacon is a great communication and positioning performer, optimized for short- and mid- term deployment and easy recovery back to the surface. As a transponder for LBL or USBL positioning, an underwater communication network or relay chain node, the S2C beacon can benefit multiple marine applications. • S2CR 40/80 USBL - EvoLogics S2CR 40/80 USBL underwater acoustic system is an efficient and reliable underwater positioning and communication device for a variety of subsea applications. A single device, combining a powerful USBL positioning tool with full benefits of an S2C technology communication link, is an efficient choice for application scenarios that demand space-, energy- and cost-saving solutions. S2CR 40/80 USBL has a directional 70° transducer beam pattern, optimized for medium range transmissions in vertical and slant channels or stationary systems. A space-, time- and cost-saving solution for multiple subsea applications, the R Series USBL Underwater Acoustic System is an underwater positioning and communication device that combinies the tracking and navigation functionality of a USBL transceiver with all the benefits of an S2C technology full-duplex communication link. Both features complement each other in a fully integrated system. 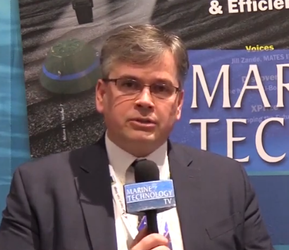 Positioning data is calculated simultaneously with acoustic transmissions, so there is no need for switching between positioning and communication modes. The S2C (Sweep-Spread Carrier) technology, developed after eight years of extensive studies into the physics of dolphin communication, mimics dolphin sound energy patterns to deliver acoustic signals even in adverse underwater conditions. Based on S2C technology, the R series Underwater Acoustic Modems provide reliable full-duplex digital communication and support multiple data management options along with addressing and networking. The R series offer multiple configuration options to best-fit any application scenario. To target the size- and weight-sensitive applications, the S2C M-series offers the full benefits of the S2C technology in a light and compact design. Sonobot is a lightweight surface vehicle for shallow water hydrographic surveys, research or surveillance. Capable of both autonomous and remotely controlled operation, this fast and maneuverable unmanned vehicle is a great cost-effective solution for surveys in hard to reach or dangerous locations.